Adam cares for two chinchillas, Gizmo and Hercules, and has advice for prospective chinchilla enthusiasts. Chinchillas are a species of rodent; they are slightly bigger than squirrels. They are crepuscular, which means they are active around dawn and dusk and rest/nap during the day. They live in the mountainous regions of Chile. Chinchillas can live up to 16 years. The story of how chinchillas were brought to the United States is an interesting read. It started with a man named Mathias Chapman. Concerned for the over hunting of chinchillas for their velvet-like fur, the South American governments were attempting to save the populations. Mathias had the idea to create a ranch for them and house captive chinchillas. It took him some time to convince the South American governments to follow his plans; then he had to capture chinchillas that were right for breeding and transport them via ship. Warm temperatures are dangerous to a chinchilla; he had to use ice blocks to keep them cool during the journey. They survived, and Mathias became the first official chinchilla rancher. Chinchillas when given time can build trust with their human owners and show their inquisitive and intelligent behaviors. Chinchillas tend to be shy, and despite having very soft fur, they do not like being stroked or petted. They rely heavily on schedules and set times, a perfect owner for a chinchilla is someone who does not vacation or travels far from home for extended periods. Chinchillas are not a pet like a dog or a cat that will cuddle up to you; also they are not a good choice to parade in front of your friends. They will not make good pets for children; they need an adult who can understand their delicate nature and mostly hands-off interactions. Chinchillas need time to cozy up to you; daily interaction is needed to tame them and have them bond with you, this could take several weeks, or several months. 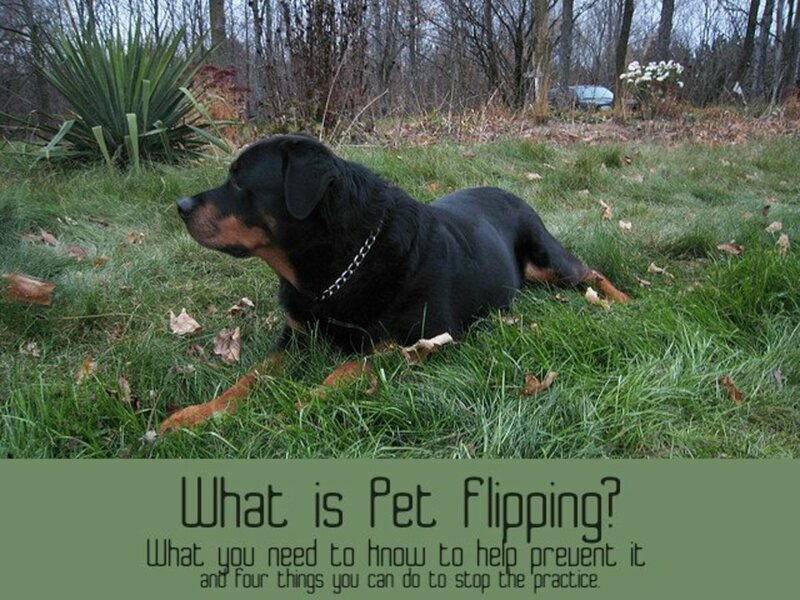 If you show them kindness and interact with them often, they will start losing their natural wariness and transform seemingly into an entirely new pet, one who jumps at glee near the cage walls and even beg for treats. Common chinchilla behavior, once they've warmed up to you, is: Winking (their way of greeting you) and nibbling (a common thing chinchillas do when grooming each other), it is completely friendly. If a chinchilla nibbles you and you don't want them to do not take any corrective action such as flicking their nose or pushing them. Simply take your hand/finger away and speak in a soft and low tone of voice and say "No." To handle a chinchilla, it needs to be a carefully done process. Chinchillas have very light bones, that can be easily broken from rough/improper handling. You'll want to handle a chinchilla just like a bird, scooping them up from underneath, if they're a more nervous chin and/or not used to being handled that attempt to struggle, place them firmly against your body without squeezing. This will help comfort them and help them relax. Also worth noting, chinchillas are prey animals, so they instinctively show no sign of injury or weakness, this is to prevent predators from picking them off from their group. Be sure to monitor for any odd behavior in your chinchilla; it would take an intense injury for a chinchilla to show signs of it. 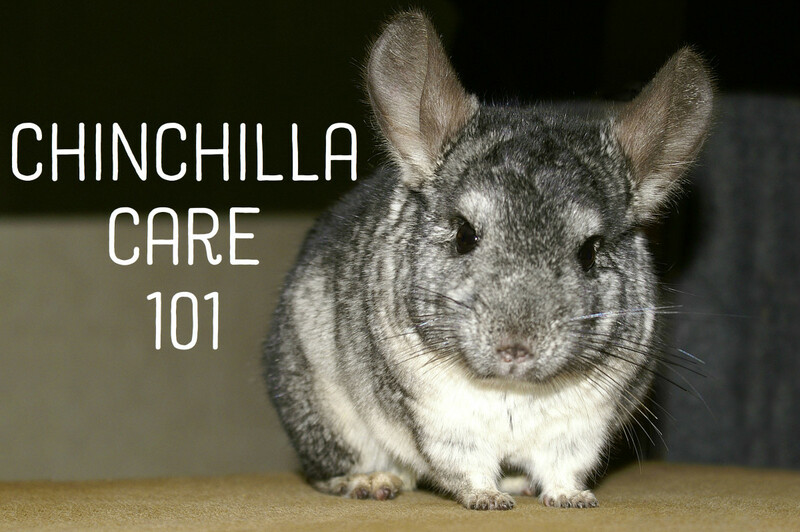 Before owning a Chinchilla, it's important you take consideration of preparations and cost. Chinchillas normally live in packs called 'herds,' so they are social animals, and it's best to purchase a pair for them to interact with each other. You can buy a single chinchilla, but the animal may become lonely if you do not give it the social element it requires. 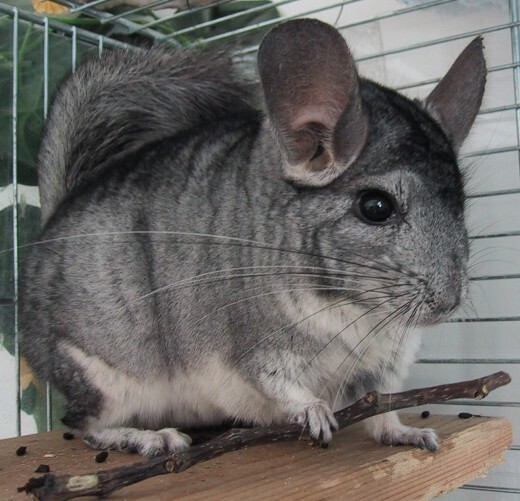 The price for chinchillas is usually 100-150 dollars USD. They also require a roomy cage that has wooden shelves placed into it that allows them to jump around and exercise when they're active. 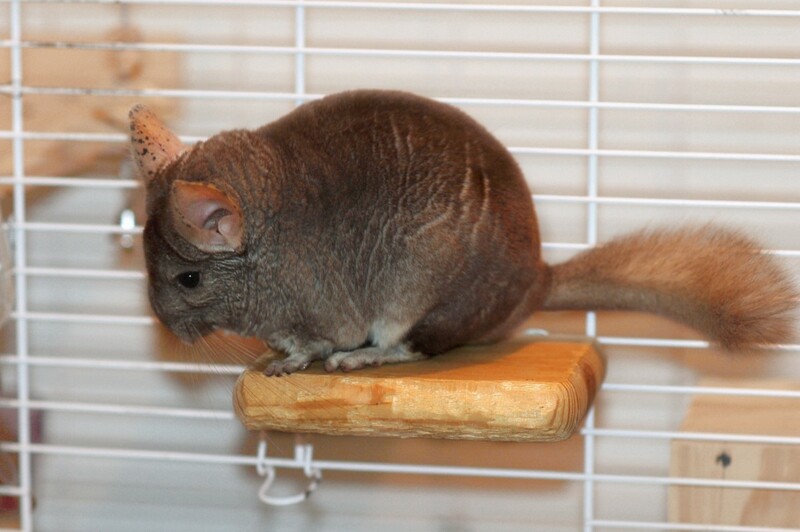 You can also purchase a chinchilla wheel (similar to a hamster's wheel) that will also allow them to run. Chinchillas require the room their cage is in to be in a quieter space away from normal traffic and noises. Otherwise, this will cause them to stress out. They also need to be kept in a room that is 73 °F (22.7 °C) or cooler. Your chinchilla could start overheating if the temperature is any hotter (characterized by their ears being redder tint). Chinchillas can be taken out of their cage at scheduled times to be able to freely roam and run around a room. If you do this on a regular schedule in the evening, your chinchilla will begin to expect this. Be sure that the room you let them loose in for playtime is properly chin-proofed. Any loose wires or wooden furniture are fair game for them to chew on and potentially ruin. They also require several things, such as Timothy Hay pellets, ('Oxbow Essentials' is a good brand of chinchilla pellet foods), and a dust bath supplied with pumice powder, (a volcanic and very porous rock), and fresh water. You may treat them with shredded wheat (non-frosted types), raisins (once a week for raisins because of high sugar content), Alfalfa Hay (in small amounts, too much can poison them), and old-fashion rolled oats. 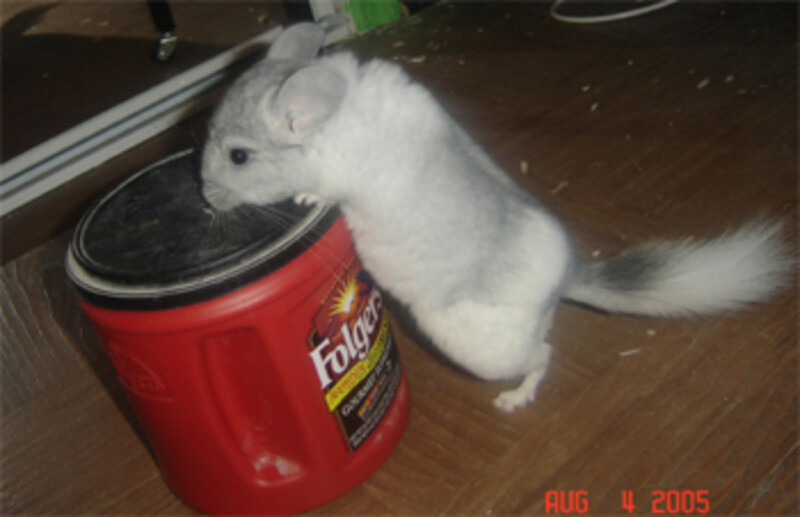 Chinchillas are not naturally smelly animals, they urinate very little, making cage cleaning much easier on you. However, be sure to clean their cage once a week, or every other week. If they urinate on their wooden shelves and it soaks into the wood, you can use a safe cleaner (a mixture of part water and part white vinegar) that effectively soaks into the wood and cleans it out. 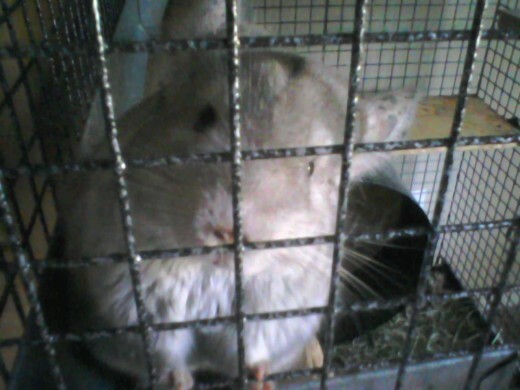 My family got chinchillas back in 2011. 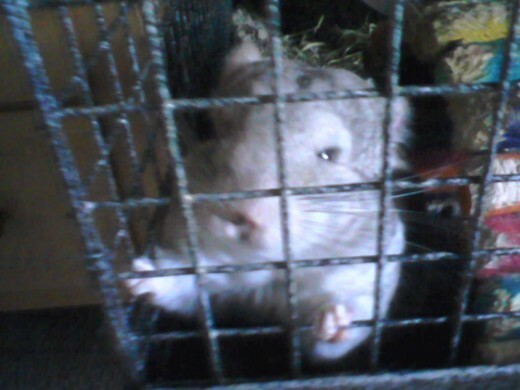 When my brother was showing lack of care for our pair of chinchillas, I happily adopted them. Chinchillas are great pets because they aren't needy and they require very little upkeep beyond daily fresh water, hay, pellets, and treats. However, there is an experience I'd like to share. My chinchillas were bought from a local pet store. Pet stores do not sell female chinchillas, or so my family was told. I own two chinchillas: Gizmo and Hercules. Gizmo is a female chinchilla; her personality is slightly different from Hercules. She is a bit more timid, more nervous, and has trouble adjusting to change and requires extra time. Hercules has always been a very inquisitive and curious chinchilla who doesn't seem to mind anything. Female chinchillas can also be ticked off easily, and beyond doing their usual barks and other audible noises to show dislike, she will also spray urine. This is most usually a female-only thing. The urine can't harm you, and it is nothing more than a defense mechanism. If this happens, I recommend you just back off and let the female chinchilla relax for a while before trying to approach her. It could take twice as long to have her warm up to you than a male chinchilla. 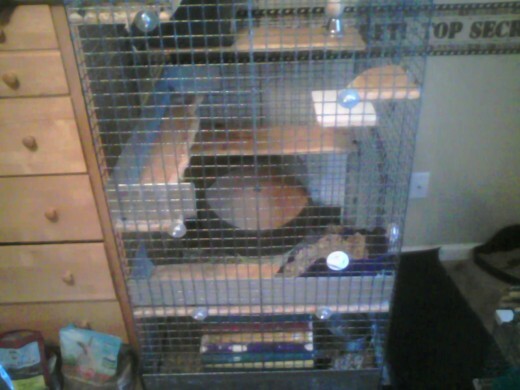 I have my chinchillas in a cage from Quality Cage Co. from Portland, Oregon. It is stocked with wooden shelves, a litterbox, the bottom features a pullout bottom that is easy to clean and restock with fresh bedding. I supply my chinchillas with a water from a bottle and a dish for their pellets while supplying them with strips of timothy hay nightly or whenever the pile is nearly gone. I give them dust baths once a week. Do not attempt to bathe chinchillas with actual water, their fur cannot get wet, and this will cause them harm. Supply them with pumice dust and a dust bowl/chinchilla bath. For a complete and well-written guide of the best care for your chinchillas, take a look at the guide Complete Care Made Easy Chinchillas by Donna Anastasi. I hope you enjoyed the article and found it helpful. Please leave a comment below if you have any questions, I'd be happy to answer them as soon as possible. Thanks for reading! I've had my chin, a female named Maude for about 6 years now. She's always been very healthy and happy. About a month or so I noticed some sticky dried saliva around her fur around the mouth and chin and she had stopped eating and drinking, Out of concern of what was happening I took her to the vet, he trimmed her front teeth. I noticed a big improvement. I bought her a bigger cage to run around in so she could be even more active. But today, I noticed that Maude again has dried druel on her face. She's drinking and eating and remaining active although not as much. I have no idea what's happening. I keep gnawing toys for her so she can keep her teeth filed since rodents teeth continually keep on frowning. I keep Timothy pellets as well as fresh water for her always. Any idea what might be wrong? Any input or suggestions will be much appreciated.